Tangram 3DS is proud to announce that we have received an Award of Excellence by the American Society of Architectural Illustrators (ASAI), ensuring our place in the 32nd annual Architecture in Perspective catalog and exhibition. 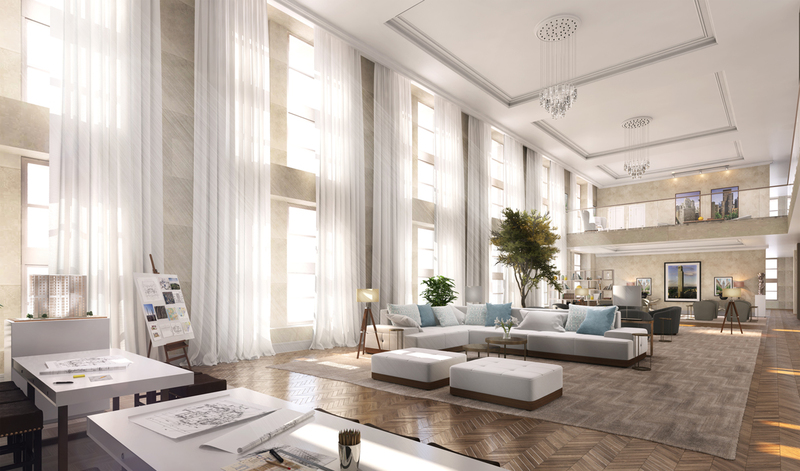 Jacques Pena, senior visualization artist, led the team on the project and created the rendering. The ASAI Architecture in Perspective contest is a globally-recognized exhibition, which receives hundreds of entries from around the world. It is a sign of great excellence among digital artists within the design community to be included in such a publication. Jacques Pena, one of our Senior Visualizers and who also specializes in Virtual Reality, routinely produces excellent visualizations for T3DS. This award is a testament to Jacques’ and our team’s attention to detail and the realism of our renderings. His efficiency on “195 Broadway Auditorium” is an example of the quality he brings to every project on which he works. T3DS will attend the award ceremony in Houston, Texas this October at the annual ASAI conference. We are honored to have received such a great recognition and are proud of our team’s achievements and to have an artist like Jacques on board.